First of all, Elizabeth Taylor is 78 years old – she was born on February 27, 1932. I say that because I wanted to set the stage for this piece of news…. she is now engaged to who will soon be here 9th husband – Jason Winters. Jason Winters is from the Los Angeles, California area. He is 49 years of age. He is affiliated with the Sterling Winters Management Company and is Elizabeth Taylor’s manager. 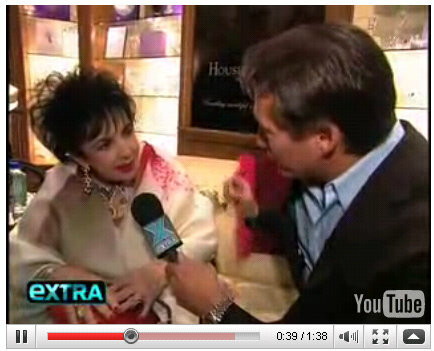 So what about the 8 previous marriages Elizabeth Taylor had prior to Jason Winters? Elizabeth’s marriages have nearly all ended in divorce except husband number three, Mike Todd, tragically left her widowed due to a horrific plane crash. She also successfully married Richard Burton twice! Husbands are as follows: Conrad Hilton (1950-51), Michael Wilding (1952-57), Mike Todd (1957-58), Eddie Fisher (1959-64), Richard Burton (1964-74/1975-76), Senator John Warner (1976-82) and Larry Fortensky (1991-96). Taylor has two children with Michael Wilding, one child with Todd, as well as one with Burton (from RightCelebrity.com).